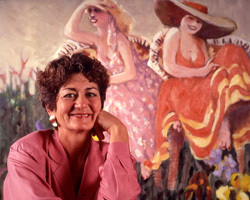 Carole Katchen is a professional and successful artists and author for 40 years. 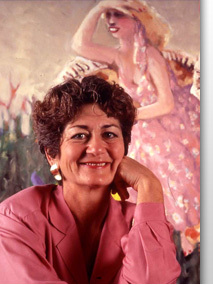 Her award-winning paintings, sculptures and printings were sold in 32 countries and on 6 continents. You can find her work in private and public collections, among them the collections of Bill Clinton, the former president of the United States. She has written 17 published books, which have sold over 1 million copies, as well as magazine articles for Cosmopolitan, Parents and several art magazines. She is a Contributing Editor to The Artists Magazine and a featured columnist for International Artist. And above all: She is a successful artist for decades herself. Carole Katchen knows the artists' problems promoting their art by her own experience. That is the reason why she wrote this book already in 1971 to show artists the secrets of success in promoting and selling. Carole Katchen walks what she talks and during the past decades she has proven by her own example, that her advice really works "out there". Additionally, she up-dated this issue for us. We started from the desktop at home and were covered by the media throughout Germany (see some clippings on the right). Having developed many successful ideas and solution in different areas in the beginning, I concentrated more and more on marketing by the years. I discovered again and again, that many enterprises and human beings had great products and talents. But what is it good for, if nobody knows about it? This is why promoting is so crucial, if you want to sell successfully. It's just the same with artists and their work. In 2004 I took over the website www.kunst.ag ("kunst" is German for "art"), an online platform, where artists from Germany, Austria and Switzerland can show and sell their art. That way I could bring together two of my "loves": Art and marketing. There are so many artists creating outstanding art, the no one ever sees - let alone buys - if they are not promoted. What makes the difference between a successful artists and a failing artist? The answer is: The successful artist is a famous artist. How does an artist become famous? To find an answer to this question I started researching the book market. There must have been an artist or a galerist, who brought to paper his secrets of success. 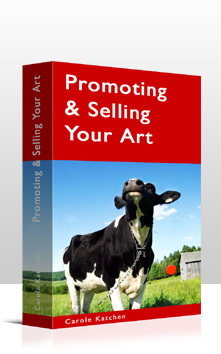 During my research I found the book "Promoting & Selling Your Art" by the American artist and bestselling author Carole Katchen. Reading the book I continously found hints and tricks of Carole, that I as an entrepreneur and marketing expert used successfully myself. It was instantly clear to me, that this book would help any artist to become famous and successful. 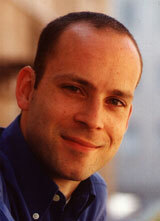 I contacted Carole Katchen in the beginning of 2006 and we quickly came to an agreement. A few month later I published "Kunst erfolgreich verkaufen" (selling art successfully) as an eBook in German. The eBook did not just sell well right from the start, but the continuing feedback of the artists showed, that still today it really delivered, what Carole promises: The successful promotion of the artist and the sale of his art. By publishing the English eBook version as well, we want to give as many artist as possible the access to this precious and proven knowledge.